Contact us for an appointment now. Fannin Tax and Accounting Services LLC is owned and operated by Emily Fannin. Emily is a Registered Tax Return Preparer and a Certified Quickbooks ProAdvisor. In addition, she received a B.S.B in Accountancy and a M.B.A from Wright State University. Fannin Tax and Accounting Services LLC is open year-round by appointment only. 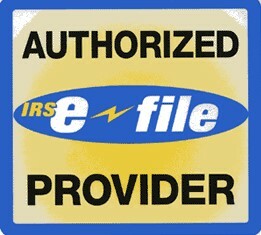 Services provided include tax preparation, bookkeeping and payroll services. For updates and more information, like our Facebook page. REFER A FRIEND, RECEIVE A DISCOUNT! Want to receive a discount on services? Refer a friend for tax preparation or bookkeeping services and get $5 off your total fees for each friend you refer. A maximum of $25 off your total fees. Want the full discount? All you have to do is refer 5 friends!